29th August 2016 LAUNCH: Join The Girl Geek Scotland Network and Mentoring Community online! 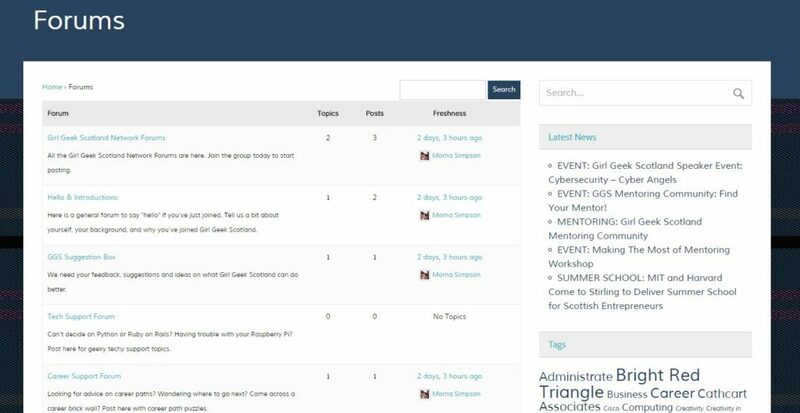 It has long been the intention of Girl Geek Scotland to bring the informal network and community to life – and today sees the launch of our online GGS Network and Community. The online Girl Geek Scotland Network is an online version of our network of incredible contacts, event speakers, participants, and attendees – who are practitioners, peers and leaders in the industries of technology, computing, IT, digital, creative, media, business, enterprise and other related sectors. The purpose is to provide a dedicated place for our unique network of people, encouraging and enabling them to connect and support each other outside of our live events. So the next time you attend one of our events you can follow-up with the contacts you made there on this online network. Send a friend request and keep the networking going. Or simply browse the network, groups and forums whenever you need to connect with like-minded people. Girl Geek Scotland welcomes and encourages contribution and participation from people of all gender identities, physical abilities, neurotypical and atypical people, religions and ethnicities. We ask everyone participating to show respect for others at all times and to abide by our Anti-Harassment Policy. The online Girl Geek Scotland Network lets you search members, send friend requests, make activity posts, share news, send private messages, post discussion topics to forums, and more. You will see activity from what Girl Geek Scotland is up to with our News and Events as usual, and all members’ activity. 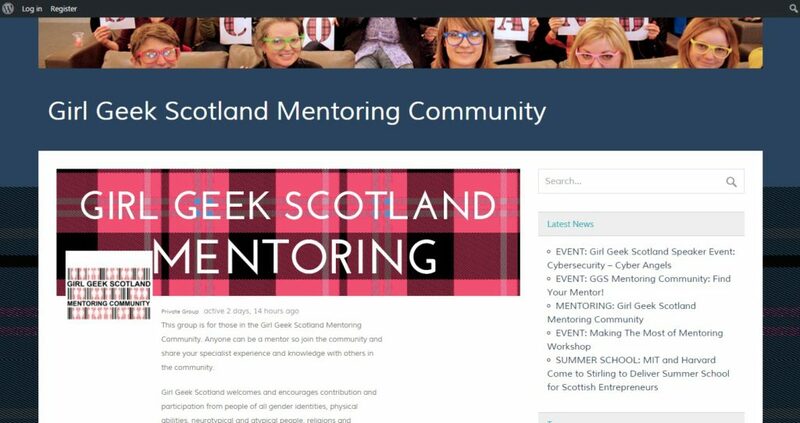 Alongside the GGS Network is our online Girl Geek Scotland Mentoring Community which is specifically focused on those who have signed up for and attended our recent GGS Mentoring Community events. To join the Mentoring Community, simply sign up to Join GGS online here, complete your profile filling out the section “Specialist Areas of Work and Knowledge” thoroughly to maximise your findability – and request to join the GGS Mentoring Community Group. Once approved you can post in the group forum, communicate with other group members, and the group admins will help enable mentor-mentee connections. It will only take a few minutes to sign up and get your profile going!